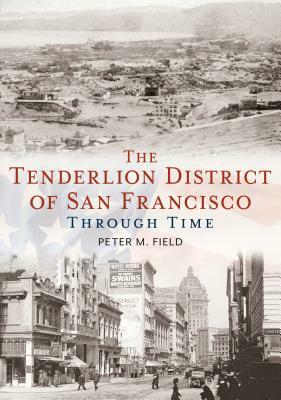 Peter Field discusses his new book, The Tenderloin District of San Francisco Through Time. The Tenderloin District of San Francisco Through Time is a brief history of a neighborhood known to early San Franciscans as St. Ann's Valley. The story of this once-placid piece of real estate provides us with a fascinating microcosm of urban history as we follow its turbulent passage from an outlying village of Gold Rush pioneers to prosperous but quiet residential respectability; its development into a hotel, entertainment, and vice district; its gradual decay into decades of mean and homeless streets; and its on-going efforts towards economic rehabilitation. Numerous photographs and images offer glimpses of its successive worlds of early settlers in the sand dunes; houses, churches, schools and mansions in a respectable middle- and upper-class neighborhood; fancy and not-so-fancy hotels and restaurants and saloons and theaters; ward politicians and political bosses, labor unions, gamblers, entertainers, high-class brothels, and petty criminals; bars, strip clubs, burlesque, and poker joints; and the politics of a decaying central city neighborhood trying to save itself. The Tenderloin District of San Francisco Through Time is a brief history of a neighborhood known to early San Franciscans as St. Ann's Valley.